Are you looking to expand your existing health and wellness business? Do you want to move away from selling 1-off and 1:1 sessions to a more successful business model of creating and selling signature group programs? 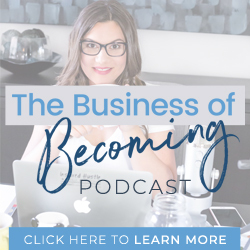 After reading this post, you should be able to break through your own glass ceiling and serve more clients, make more money, and create a greater impact within your community. There is a free companion guide that goes along with this post, which you can find it on our show notes. It includes signature program examples and worksheet questions that will help you create your own program. My life’s work has been dedicated to helping alternative health professionals transition from non-existent or broken business models to a more effective and scalable business that they feel passionate about. My goal is to help them make the shift from selling random services and items to a business model that will make them consistent revenue without the need to work 1:1 with clients. I have successfully helped hundreds, if not thousands, of health practitioners make the shift to creating signature programs both off and online. But my journey before all of this wasn’t pretty. Back in 2007, when I first started my nutritional business, I had the knowledge to help people transform their health. In a quest to share that knowledge, I rented out a beautiful office space, got myself a website, printed business cards and fancy forms. All with success in mind. But all that followed was debt and disappointment. I accumulated debt to the point of embarrassment. When I could no longer afford the monthly rent for my office space, I realized I had hit rock bottom. The thought that I would not be able to make money as a registered holistic nutritionist or support myself and my family constantly plagued me. I did everything I was taught to perfection: from seminars to getting random referrals and selling single consultations. I spent hours created detailed and personalized protocols for people, which was never used. I had no idea what I was doing wrong or what changes I needed to make. So I took a step back and reflected. If this is your current situation, you need to do the same. I know that it can be scary and frustrating but the knowledge you have acquired is enough for you to make it. Sometimes, all that is needed is a simple repackaging and change in your delivery method. I had to stop investing time and energy learning about nutrition (which I am already knowledgeable about) and dedicate my time and energy to learning about how to position and market a SINGLE proven solution. A health transformation system my clients want (which was not necessarily what they needed, but could be slightly changed to meet their needs). It was from that realization that I created my first signature program to focus on weight loss. It was a 12-week group coaching program called “WOW! Weight Loss.” This program transformed my financial situation, and I finally realized that I had more options to run my business than what I was taught. Ever since that realization, I have been creating, marketing and selling scaleable group programs and helping other health practitioners create their own so they too will be able to serve more clients, make a greater impact and improve their financial situation. No matter how you want to run your business, if you want to build a money-making health transformation business, you MUST have a signature program. It is defined as a group program that features your PROVEN methodology, that is 40 percent learning and 60 percent actionable, solving ONE painful problem for your ideal client. Financial success comes from creating and marketing your signature program over and over again to everyone suffering from the problem it solves, not from the creation of seven different programs but one single program. This is an important lesson they fail to teach you in school or in your designation. It is one that I had to learn the hard way. We should have been taught how to serve hundreds or even thousands of people at once, running them all through the same program. If you wish to create a health transformation business from which you can take time away and still get paid while creating impact beyond your local community, then you must systematize the way you work with clients. So now that you know what you need to create, how can you go about creating it? You must first have a methodology that delivers results for a specific transformation you want your ideal client to achieve. Once you know your ideal client and the desired result, brainstorm the required steps to reach those results. 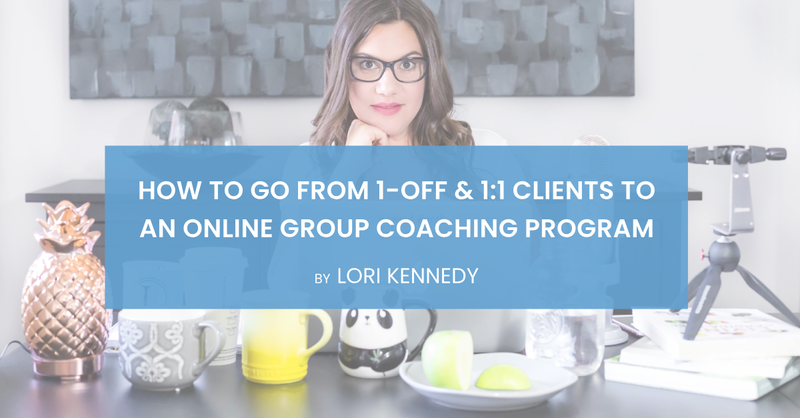 When you’ve done that, you’ll end up with a program you can take clients through 1:1 or as a group. What matters is that all clients go through your signature program. The methodology of the program should showcase your expertise. Without it, the desired outcome would be unattainable. If you don’t have a methodology for your clients and everyone is on their own program, how would you be able to train someone to support your clients while you are on vacation? And you will have the additional task of keeping track of which program each of your clients are currently working their way through. I understand some professions require you to be hands-on with your client, and that you are restricted by your license and industry regulation to conduct your business in a certain way. If this applies to you, you can still create educational content with a clear disclaimer stating that the program is solely designed for educational purposes. Your signature program will be there to support the work you are doing with your clients now and in the future. Should clients want to work with you, they are free to do so in a different higher level program. Your signature program should revolve around what you are always teaching and explaining to your clients that provides them with an added benefit once your session ends. This will tend to be something you have repeated time and time again, and don’t necessarily have to teach on an individual basis. It could be a stretching exercise, type of meditation, breathing technique, a diet and exercise routine, how to use essential oils, or how to go gluten-free. It can essentially be any topic you want to dive deeper into but do not have the time to constantly teach on an individual basis. Once you have identified and created your signature program, 99 percent of your work is complete, it can now be done on autopilot. Think of a specific problem you solve for your clients. What are the transformations you are promising? What specific result do you hope your clients achieve after they work with you? You have more freedom with your signature program than licenced practitioners because you are not legally required to see your clients in person, and depending on your geographic location and designation, you can provide more in-depth and more personalized recommendations. You need to think of the benefit you want your clients to achieve and reverse engineer the steps required to achieve that outcome. For example, you could create a weight loss program using the high fat and low carb methodology, a leaky gut program or a fertility program. Your program will most likely be based on lifestyle, food or fitness recommendations. It will most likely be based on what licensed practitioners are obliged to provide in person. Health practitioners often make the mistake of selling meal plans, recipes, follow along videos, a Facebook group and coaching calls. Although these educational materials are essential components to your signature program, they will not sell your program. I’ll break down the exact formula for creating a signature group program shortly, but first, let’s go through the 4 components of a signature program that sells. Now we are the juicy part! This is where you get to create the content for your signature group program; and where you learn what education and action tasks to give your clients, and in what order. I go into detail about it all in this video. Alright, here are the five components to creating the perfect signature program. This is delivered to your clients right after they purchase your program, before it actually starts. This is when their motivation is at its peak, so you want to deliver some actionable content to them right away to keep them going. The manual includes 40 percent education and 60 percent action. The manual is your weekly classes or modules — the step-by-step system comprised of the main topics they need to learn and the actionable goals you want them to achieve each week. The supporting documents are any worksheets or handouts that lay out what they have to do each week. Bonuses are things that make your clients’ lives easier, not things they have to learn. They are important because they increase the perceived value of the program. An upsell is a ninja move. It helps to increase the per client value. Now that you understand how to create a signature program, let’s go through how to transition your 1-off and 1:1 clients to using your signature program and methodology. I’ll show you how to do this by giving you three examples of business offers you can make based on your one signature program. EXAMPLE # 1: The Lavish Method — a 12- week weight loss program for women who want to lose weight without giving up wine and chocolate. EXAMPLE # 2: The Whole Home Detox — an 8-week program for busy moms who want to detox their bodies, their lives and their homes without spending thousands of dollars on organic products. NOTE: This program would include a specific set of essential oils. EXAMPLE # 3: Moms Who Lift — an 8-week program for busy moms who want to lose fat and lean out without doing cardio or dieting. Notice that in all three examples, every single client is going through the exact same signature program and methodology. What changes are the components that are included. It’s more than that: it’s a scalable business setup. One signature program. One methodology offered in a variety of ways. Alright, that’s it for now! You can head over to to the Take Your Health Practice Online Facebook group, post your ideas and ask for help. Now, let’s discuss how you’re building your business and the life of your dreams. Let me know about your signature program. If you don’t have one, drop a comment and let’s discuss.